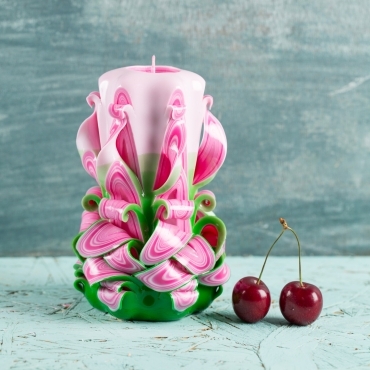 It is pink candle with green color at the bottom and white top. 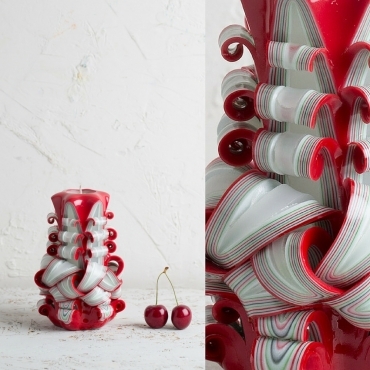 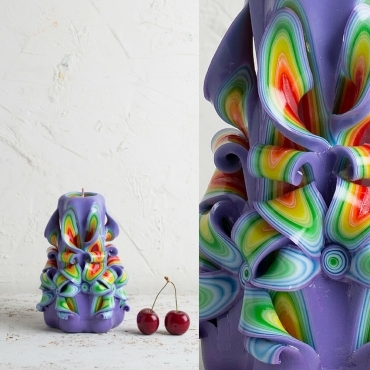 Artistic carved candles. 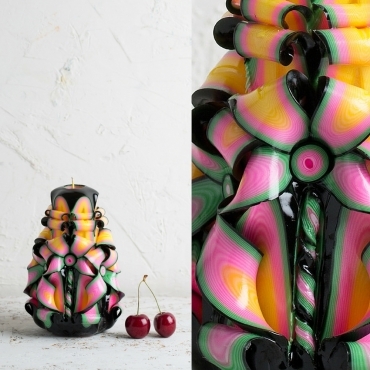 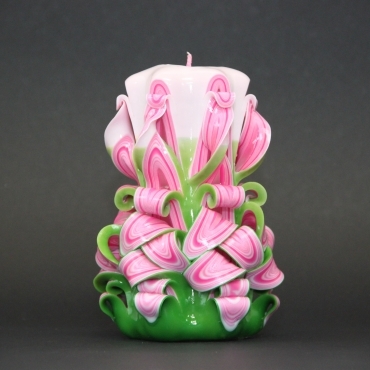 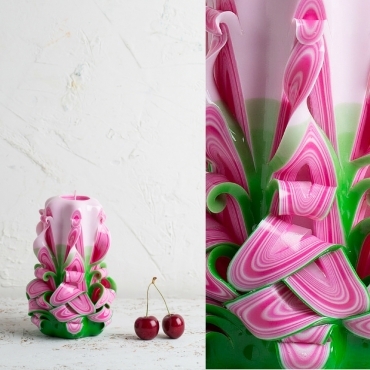 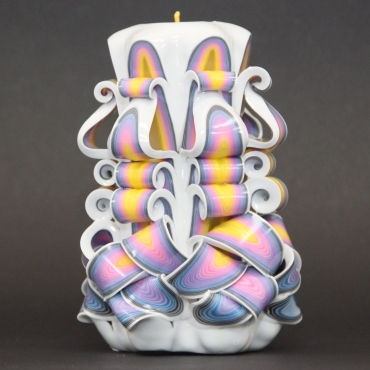 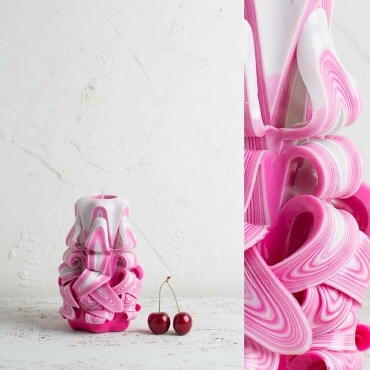 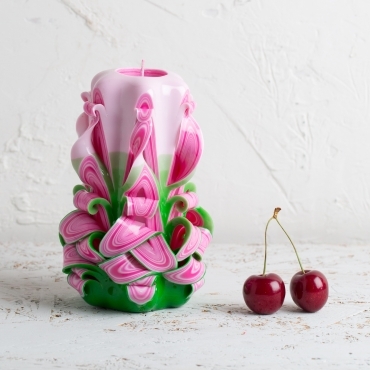 Carved layers are combination of a pink spectrum - perfect decorative candle.